Hawaiian trade winds and gentle waves lull family and visitors to this oceanfront estate. Hale O'Kala's playful logo embodies Hawaii's relaxed nature, with the pineapple symbolizing hospitality and generosity. 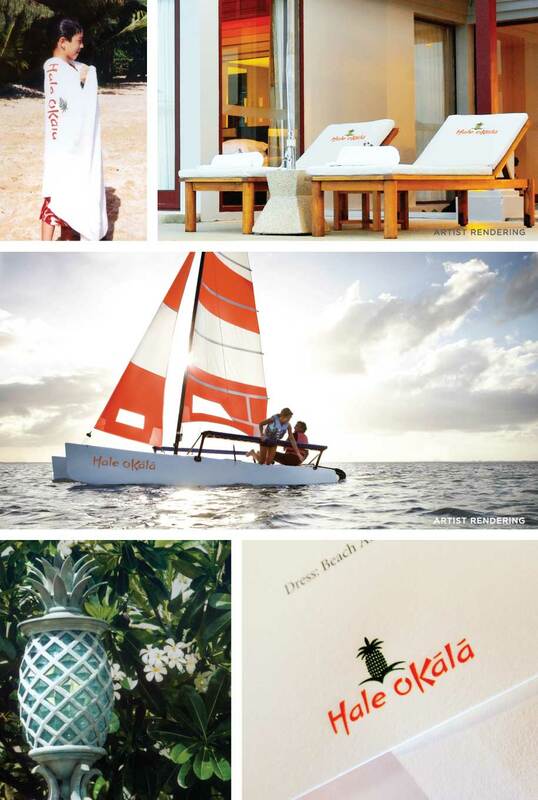 Life and fun at Hale O'Kala centers around the water, so our team focused on elevating and customizing items connected with the beach and pool.